Hey lovelies, I was recently chosen to participate in one of Influenster's VoxBox campaigns. The Cheers VoxBox contained a variety of products and I have already started to try try, with pleasant results so far. If you would like me to thoroughly review any of the products mentioned, please don't hesitate to let me know in the comments below. On to the Cheers VoxBox! 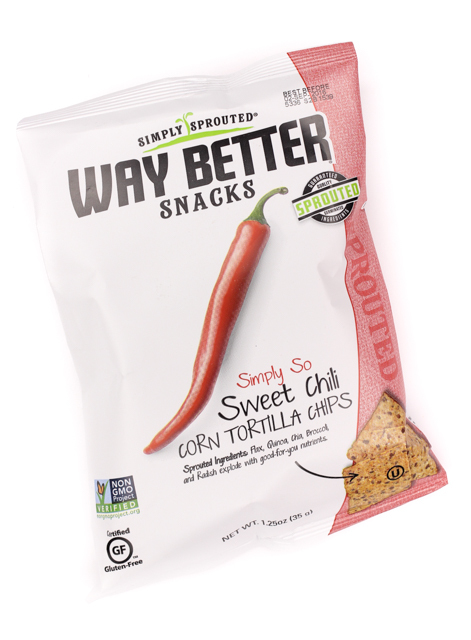 Way Better Snacks: Chips are one of my favorite snacks, so I was happy to see these from Way Better Snacks in the box. I like that these chips are gluten free, and made with sprouted flax seeds, chia seeds, quinoa. I got to try the sweet chili chips and they were super tasty. A little spicy too. I love spicy foods so I didn't mind the spice one bit. I am going to be on the lookout for more of the Way Better Snacks. They are not only delicious, they also make for a healthier snack alternative, which I can appreciate. 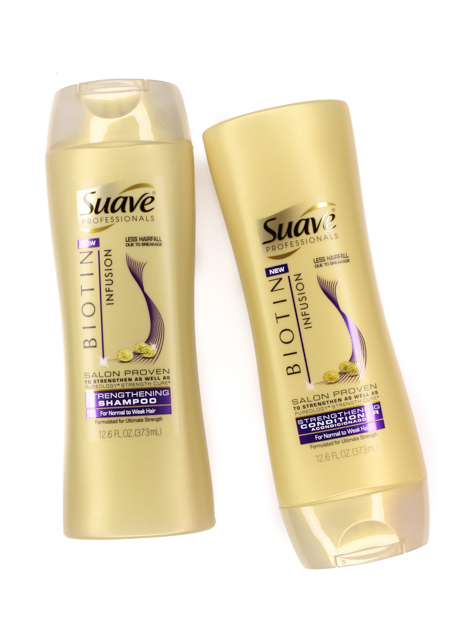 Suave Professionals Biotin Infusion Strengthening Shampoo & Conditioner: This duo is infused with B7 Biotin, a vitamin that's known to contain strengthening benefits. The range also helps reduce breakage and hair fall out, for fuller and thicker looking hair. The shampoo and conditioner both sound great, and I can't wait to see the results for myself. Dr. Teal's Pure Epsom Salt Soaking Solution Soothe & Sleep with Lavender: Confession-I have never tried an Epsom salt soak. I am not sure why, since they are highly encouraged for aiding in the relaxation of the body, and the easing of sore and tired muscles. 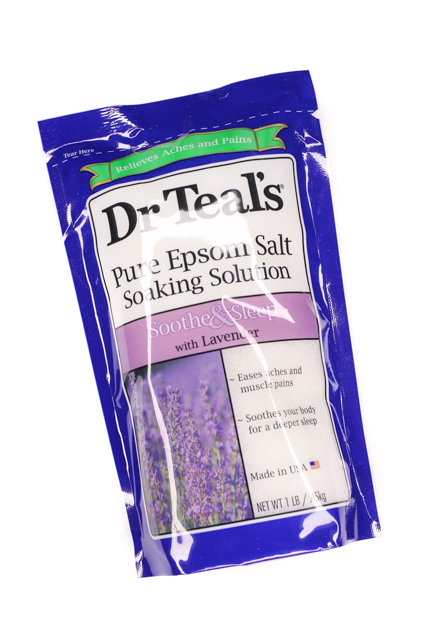 This soaking solution from Dr. Teal's is infused with wholesome ingredients like Epsom salts, and herbal oils. It also helps promote a deeper sleep, since lavender does have relaxing and soothing properties. I haven't tried this in the bath yet for that full body soak experience but, I did try soaking my achy and sore feet in this and it did a pretty good job at easing the muscles and taking away any discomfort. 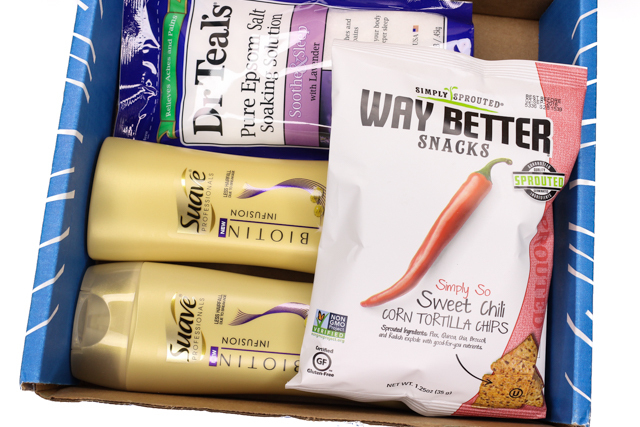 *Also included in my box was a coupon for a free Hormel Taco Meat, which I will definitely put to use on my next grocery trip, and a sponsored trial of Yaye, a health and fitness app that helps motivate small groups of family and friends to be more healthy and active. You can chat, share progress, and encourage each other in a fun, interactive way. What do you all think of the Cheers VoxBox? Disclaimer: I received the products mentioned above complimentary from Influenster for testing purposes. For more information, please visit my disclosure page.